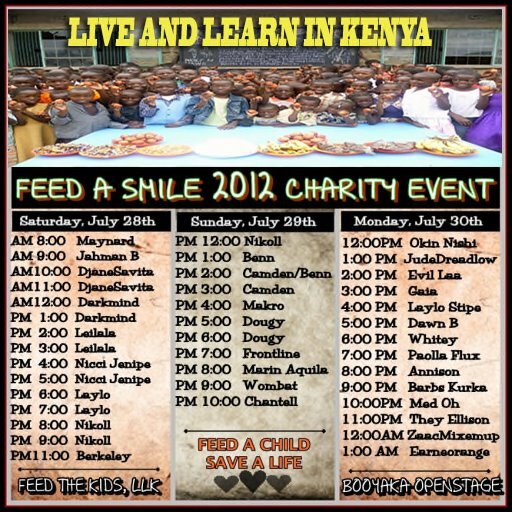 Feed a Smile: What a super event! Starting off with Kaycee and Wanna, the Lavender Field was filled with lovely love songs and happy people. GuitarMan didn't show up for some reason, so Laura Savio jumped onstage an hour earlier and ended up singing her awesome songs for over two hours. The crowd wouldn't let her stop... It was fun the way she walked around the dance floor singing. All in all we took in funds for 116 meals - and made lots of new and generous friends as nearly all of the 31 guests at the Lavender Field yesterday were there for the first time. 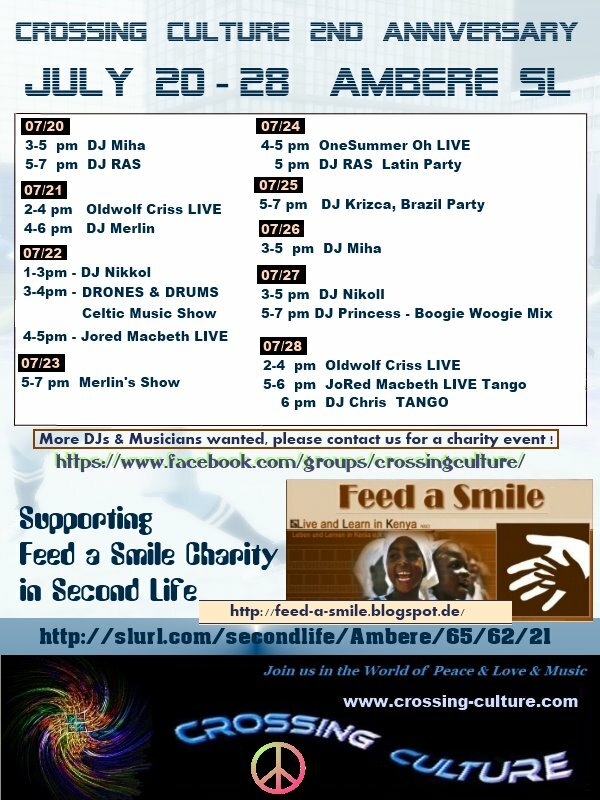 Don't forget the two awesome events going on this weekend for Feed a Smile! Youngsta and Frontline really have a mission there!!! 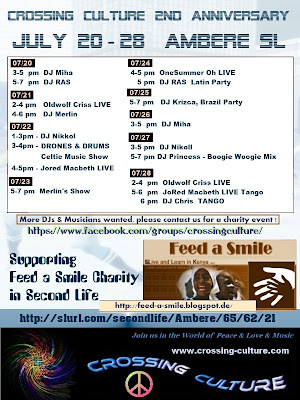 Not only will there be hours of super music - there will also be hours of awesome people dancing and having a great time. So, hope to see you this weekend. The next concerts at the Lavender Field will be on Tuesday - so stay tuned for news about them. I can promise some awesome music....! 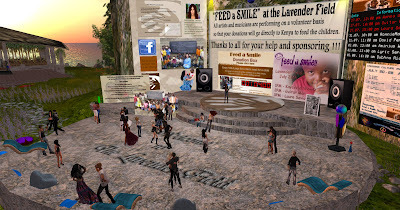 We are hoping to hit that 7 million Linden mark by Tuesday evening. That 70 thousand meals for the kids in 2 years. How awesome is that? !